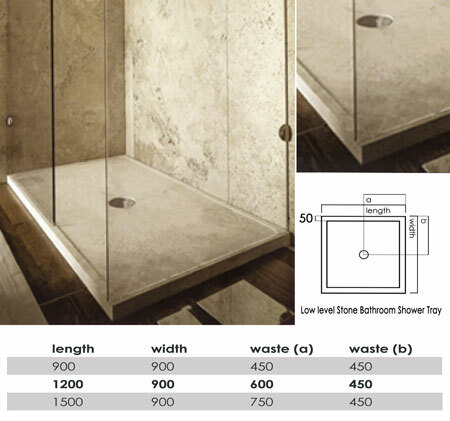 This low profile stone shower tray is manufactured in solid creamy beige travertine marble. Available in 3 tray sizes, we also offer a bespoke made to measure service where the stone low level shower trays can be made to the clients exact specification. * Stone trays supplied in 3 sizes. * Bespoke tray sizes available.